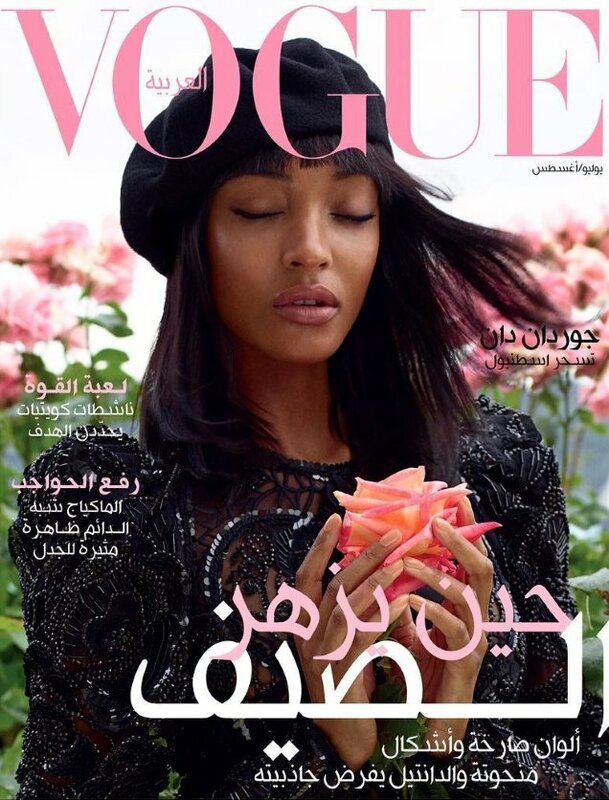 Vogue Arabia has only been on the market since its debut back in March and the magazine has already managed to pull the likes of Gigi Hadid, Imaan Hammam and Halima Aden. 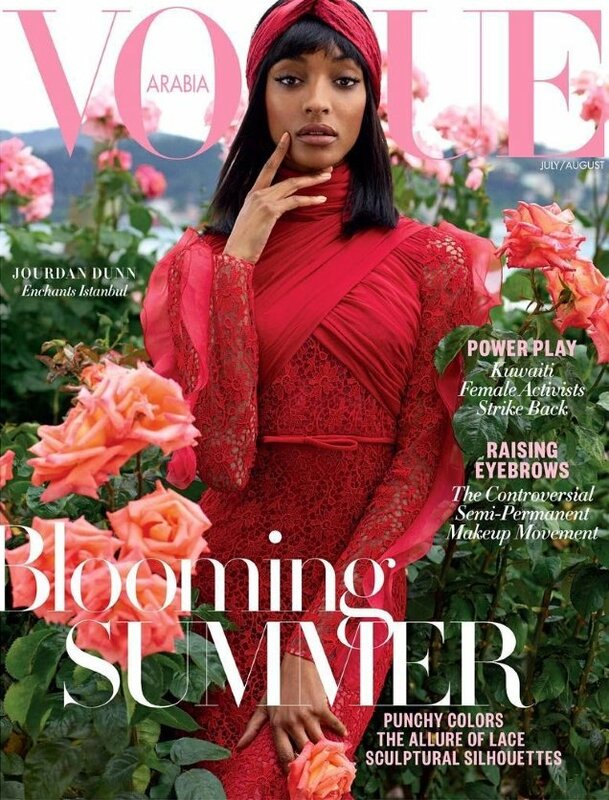 The Arabian fashion title set its sights on Jourdan Dunn for July/August 2017, who poses amongst a blooming rose garden on location in Istanbul with Turkish fashion photographer Cuneyt Akeroglu capturing the moment of tranquility. On the first cover (below), Jourdan looks ravishing in red Giambattista Valli and wears Elie Saab on the second cover (after the jump). The covers were an instant hit with our forum members. “Okay now we’re talking! The first cover is gorgeous! Could pass for a UK Harper’s Bazaar cover but it’s good,” voiced MON the moment the cover struck. “I think the first cover looks stunning – styling, setting, the mannequin-like pose. Can understand the Harper’s Bazaar comparison though, that font. The second cover, however, is as corny as it can get, I’m afraid,” Benn98 chimed in. “In love, this magazine is everything and Jourdan is just flawless,” raved TeeVanity. “I love this edition so much. So far so good! !” forum member gazebo approved. Are you an admirer? Look forward to more from the issue and add your own two cents here.